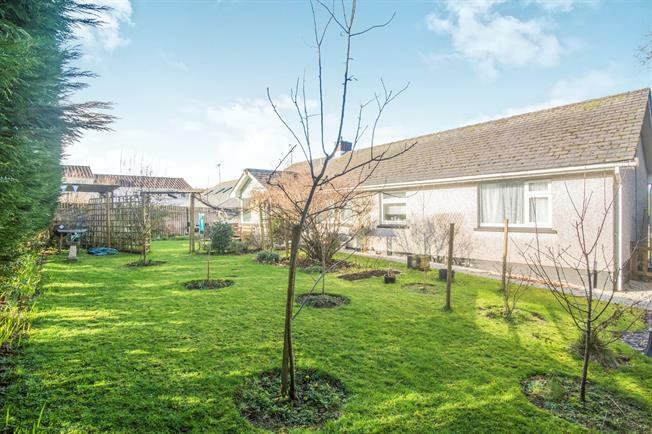 4 Bedroom Detached Bungalow For Sale in Bodmin for Asking Price £340,000. Detached bungalow within the village of Lanivet. There are three ground floor bedrooms, master ensuite, and a further bedroom with WC in the loft offering far reaching countryside views. The versatile accommodation also includes a family bathroom, airy hall, spacious kitchen, rear lobby/boot room and utility room. There is a capacious living/dining room with patio doors leading to a decked balcony overlooking one of the garden areas. The property is surrounded by its gardens, with parking for six vehicles and a vegetable area to the front. Double glazed with oil fired central heating, this lovely family home is a hidden treasure.